In the United States, many people are lucky enough to know that they can get water whenever necessary. Unfortunately, this is not the case everywhere in the world. 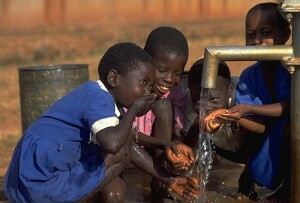 Nearly 1 out of every 5 deaths under the age of 5 worldwide is due to a water-related disease. You can help the cause by donating money to help build a water well in small villages located around Africa. A few dollars can go a long way, and it would literally change the lives of people receiving this gift we take for granted every day. 02/09/13 Ellie Zimmerman $11.00 hi kara i'm doin this for the kids!